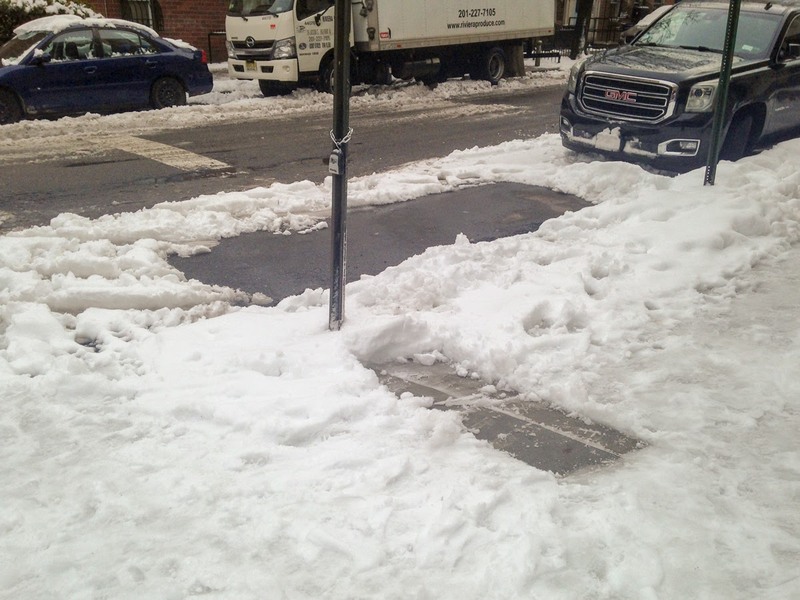 East Villagers do not like to shovel the sidewalk — it's hard work! For those who don't know, the cleared space in the street is due to there having been a car parked there. maybe it was the street sign that got in the way?